In 1975, 22 year old Glen Cameron began his logistics company in Melbourne equipped with a single 8 tonne-tray truck. To service his small but growing customer base, Glen frequently made the short walk away from his depot to the nearest phone box. It was due to this passion and commitment to quality service that enabled the business to turn over a healthy profit in its first year of operation. Today, the Glen Cameron Group is a multimillion dollar, privately owned, national logistics company offering over 100,000 square metres of warehousing space and a fleet of over 350 vehicles for its customers nationwide. 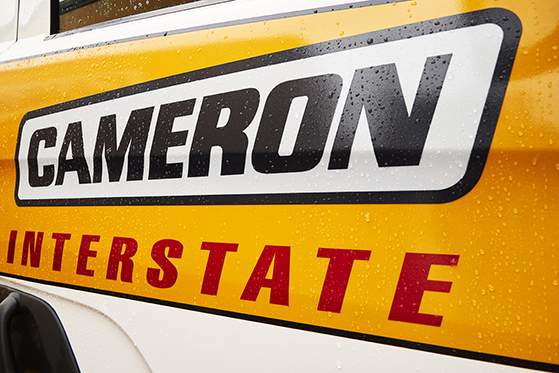 Whether it’s local trucking, couriers, warehousing, interstate transport or third party logistics management, the Glen Cameron Group continues to expand upon its total logistics solution for businesses throughout Australia. The technology may have evolved, but our commitment to outstanding customer service in logistics is as strong today as it was in 1975.